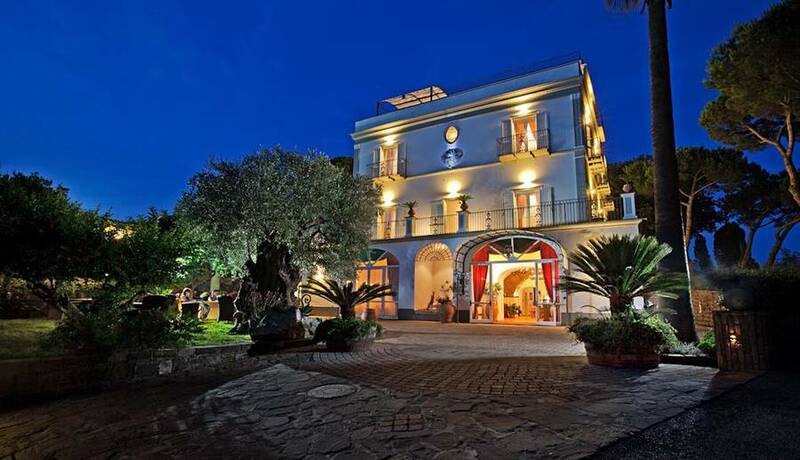 Along the road between the Sorrento Peninsula and the Amalfi Coast, an elegant villa which was once a noble residence in the 1800's has been recently renovated and transformed into one of the most romantic boutique hotels on the coast: the Oasi Olimpia Relais sits above the Mediterranean in quiet Sant'Agata dei Golfi, just minutes from the vibrant center of Italy's resort town of Sorrento. 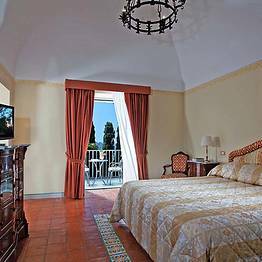 Perched on a clifftop above the Sorrento Peninsula, the Oasi Olimpia Relais has a breathtaking vantage point stretching from the whole of the Bay of Naples to the north to the Bay of Salerno to the south. 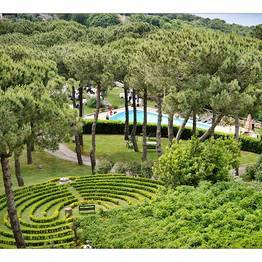 In the foreground, the lush gardens and park frame the turquoise waters of the sea in the distance, and the sweet scent of its Mediterranean flora, citrus trees, and numerous herbs perfume the sea breezes. 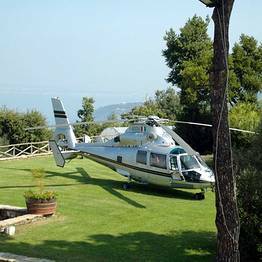 Guests love to stroll through the gardens in the heat of the afternoon, finding respite in a shady corner to unwind to the sound of the gulls and the view of the endless water stretching to the horizon. 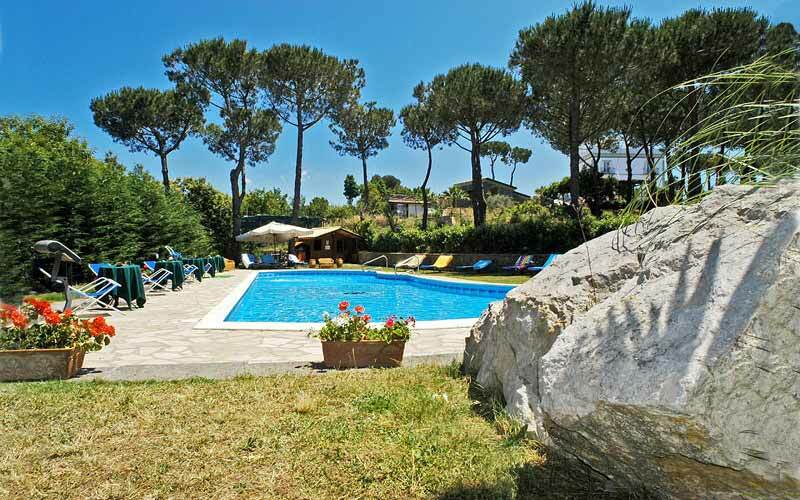 In addition to the grounds, guests at the Oasi Olimpia Relais can relax in the large outdoor pool tucked into the garden where there is the maximum of peace and privacy, either taking a dip or basking in the sun on the furnished deck. 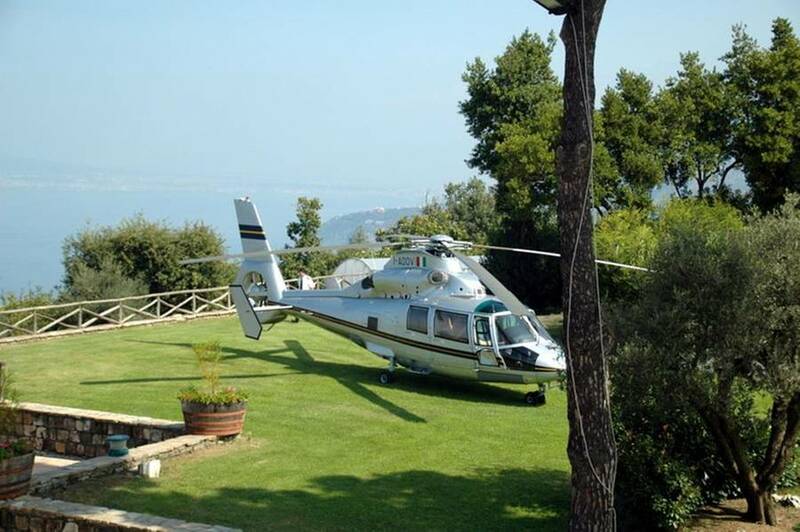 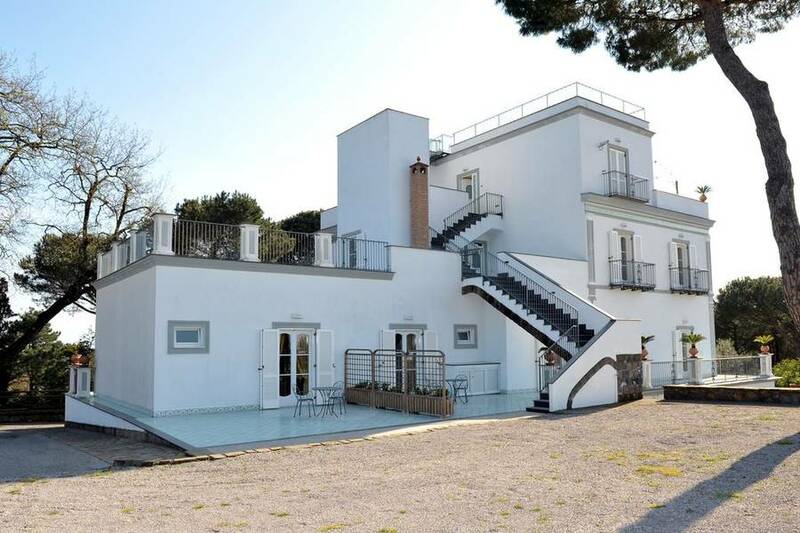 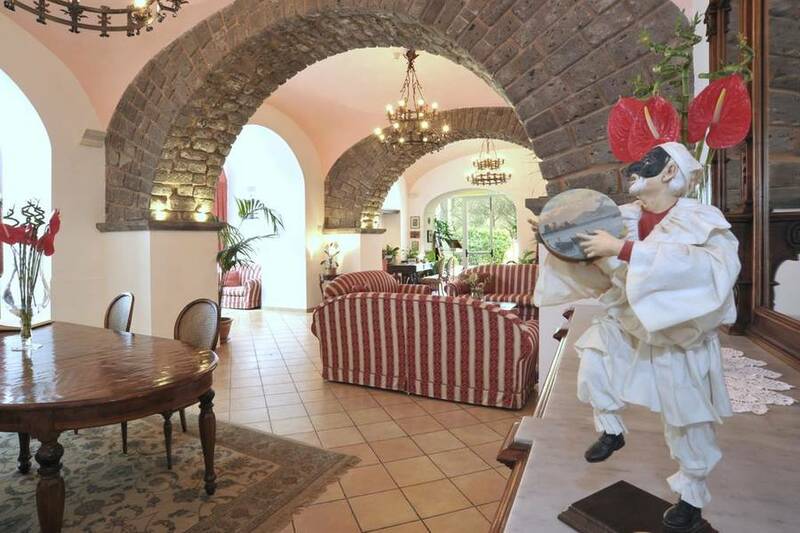 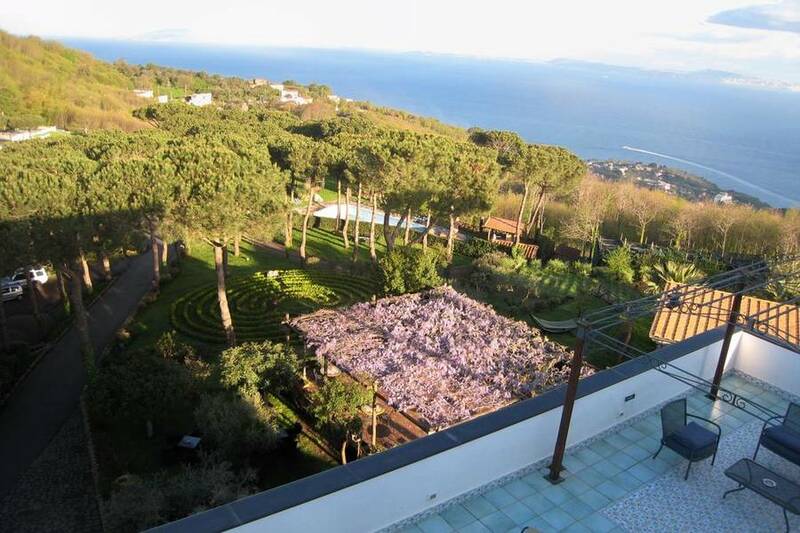 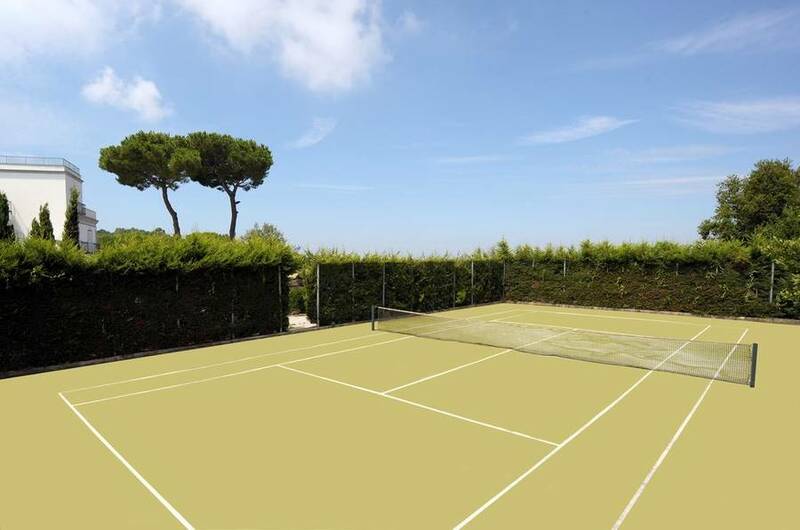 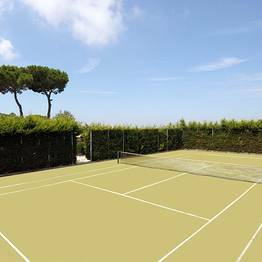 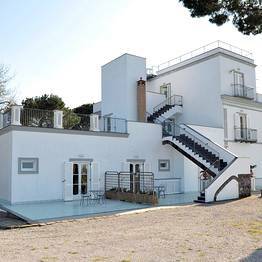 There is also a sauna, tennis court, free private parking, and the only private villa heliport on the Amalfi Coast. 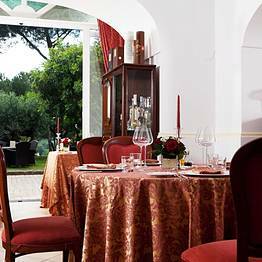 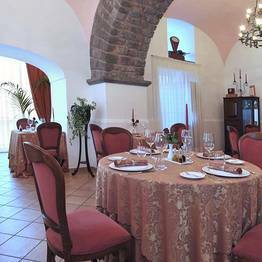 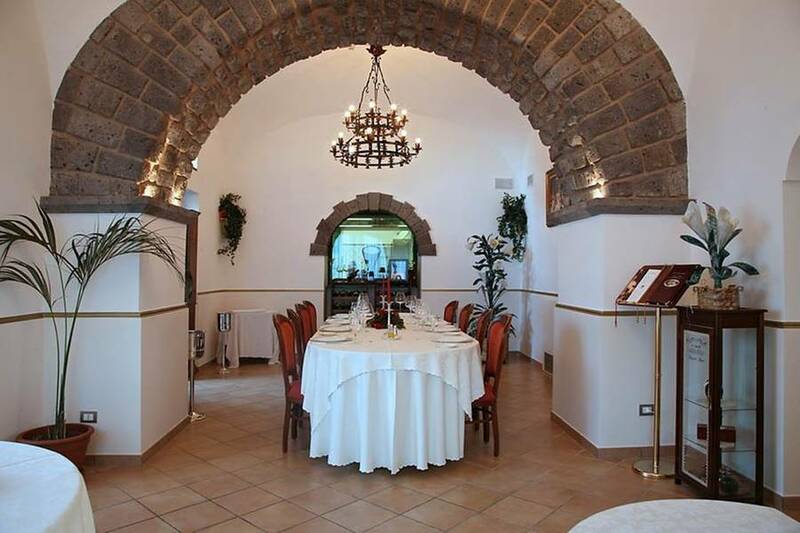 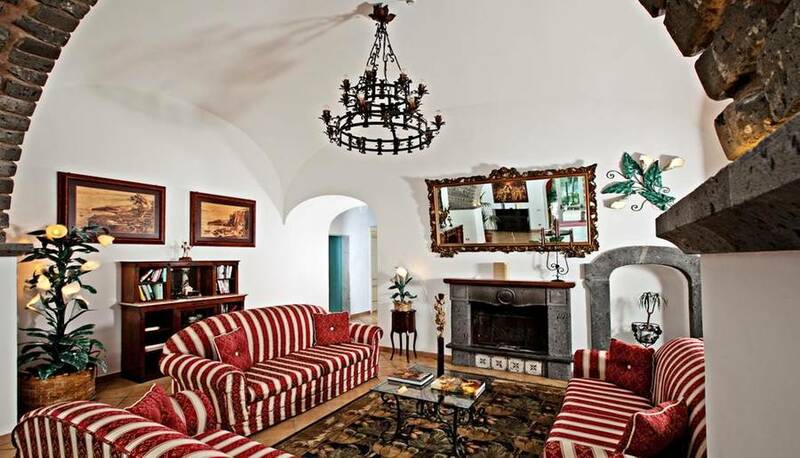 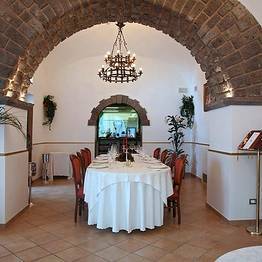 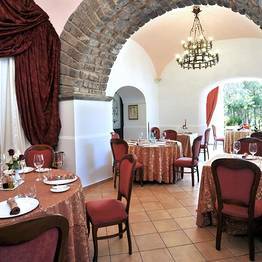 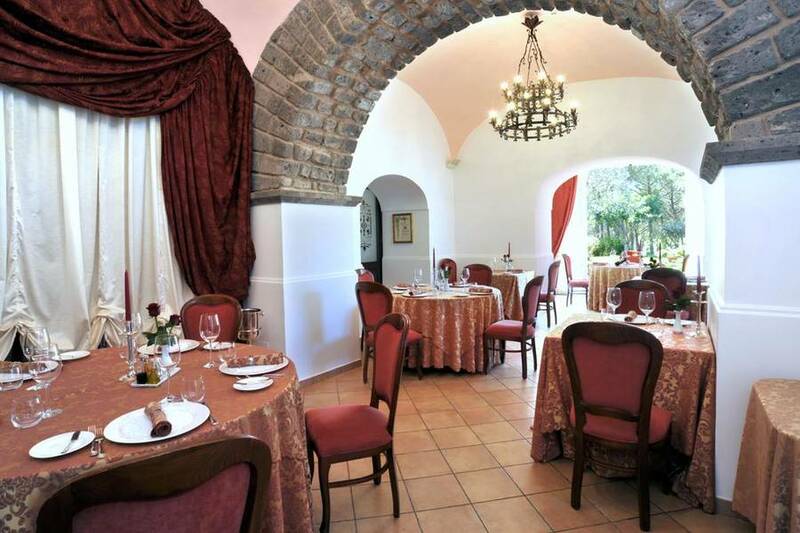 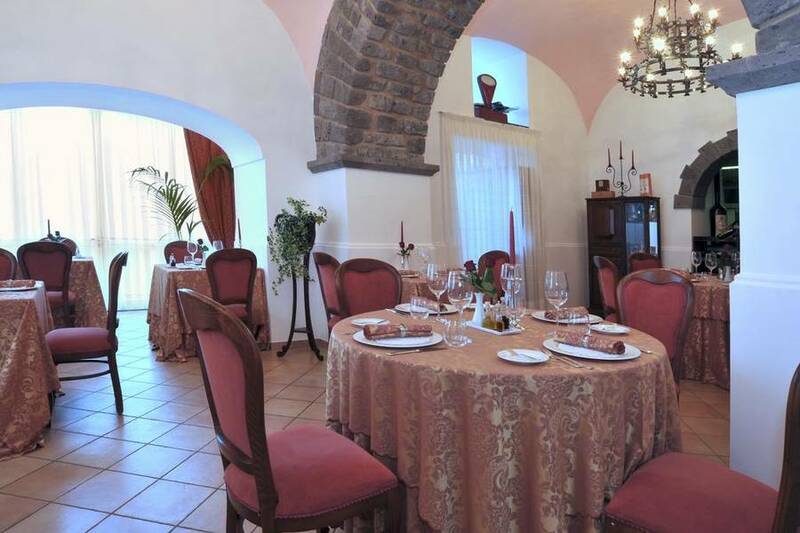 The decor at the Oasi Olimpia Relais encorporates prized antiques in the spacious living room and elegant dining room; in one of the two professional and fully equipped kitchens, the traditional wood fired oven covered with ceramic tiles is used to fire Neapolitan pizzas. 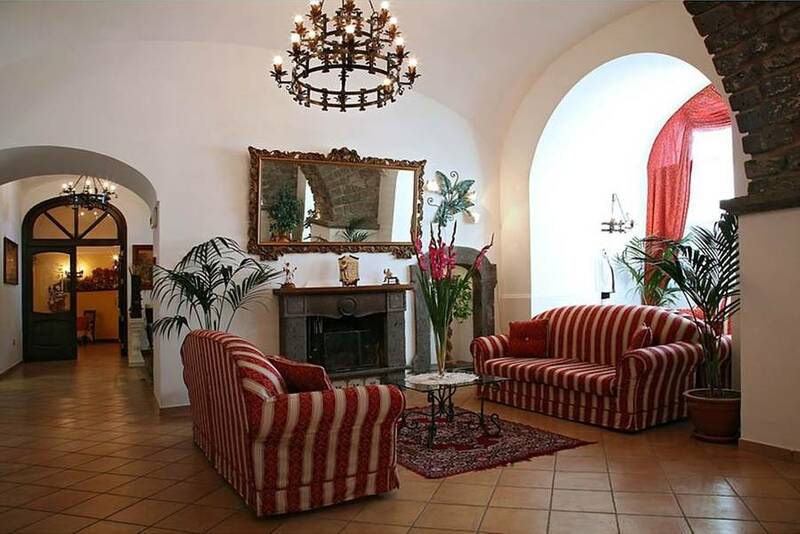 Guests can also relax in the lounge and wine bar, or shop in the boutique corner. 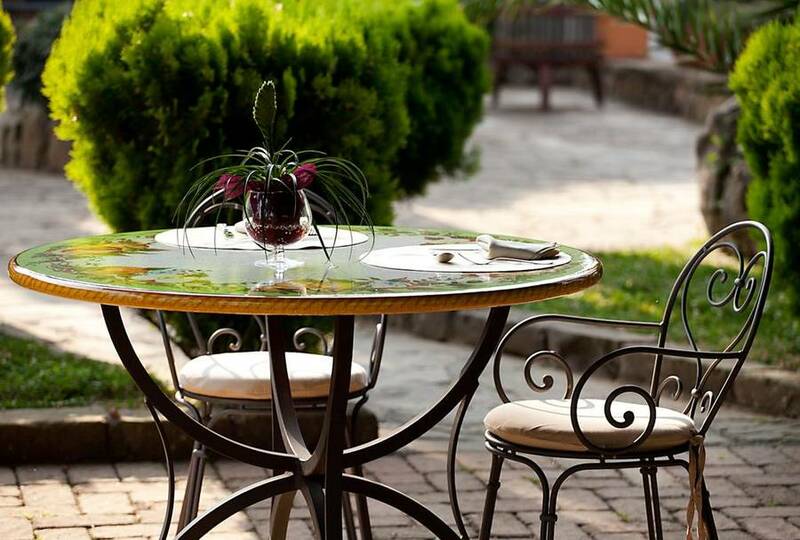 The interior design and decor is thoughtfully stylish, but guests' comfort is always the first priority. 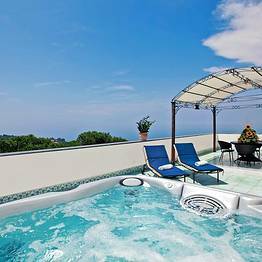 All guest rooms have a jetted tub and a private balcony or terrace that is furnished and overlooks the hotel grounds or the sea. 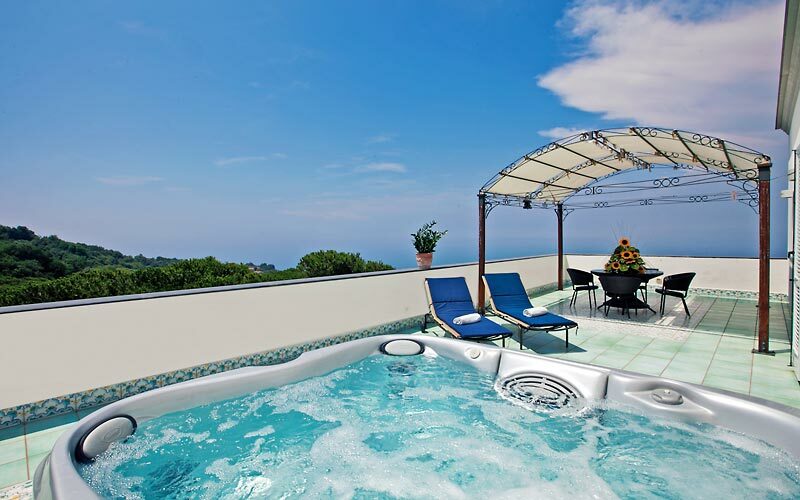 For a VIP stay, choose the Penthouse, which stretches over 60 square meters including a bedroom, living room, and bathroom with both a jetted tub and massage shower. 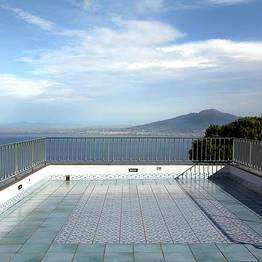 The Penthouse also boasts a private terrace with a stunning view over the Bays of Naples and Salerno and an open air Jacuzzi and sundeck. 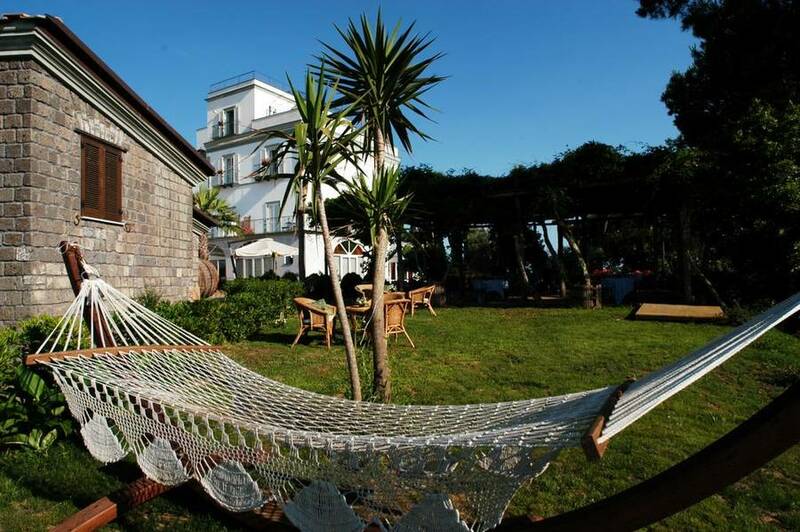 Once you settle in here for some uninterrupted R&R, you'll never want to leave! 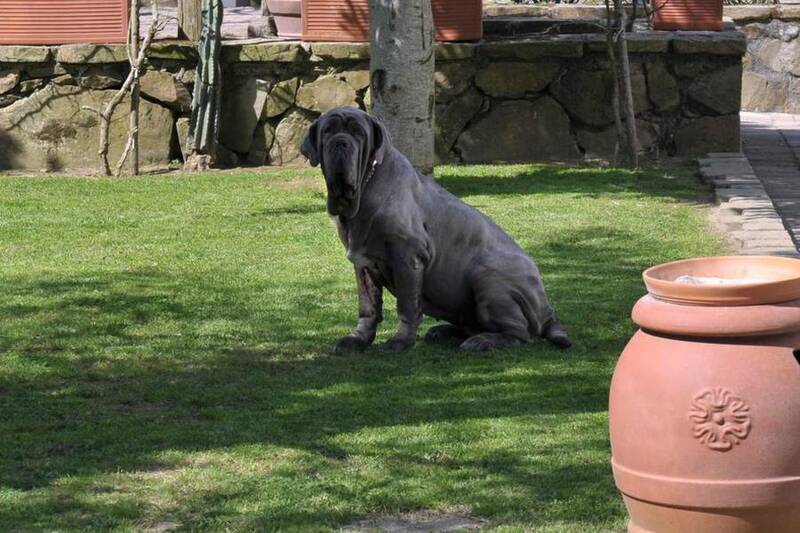 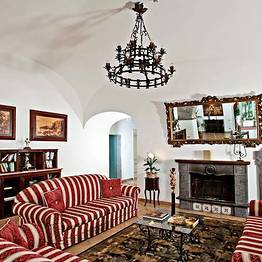 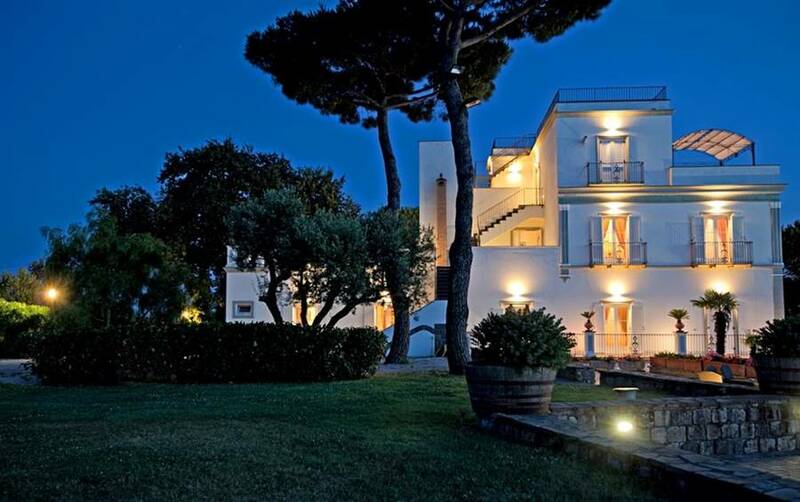 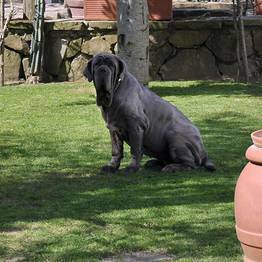 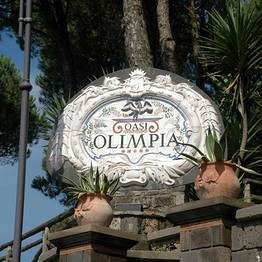 Oasi Olimpia Relais can sleep up to 30 guests, and the entire villa can be booked for your exclusive use. 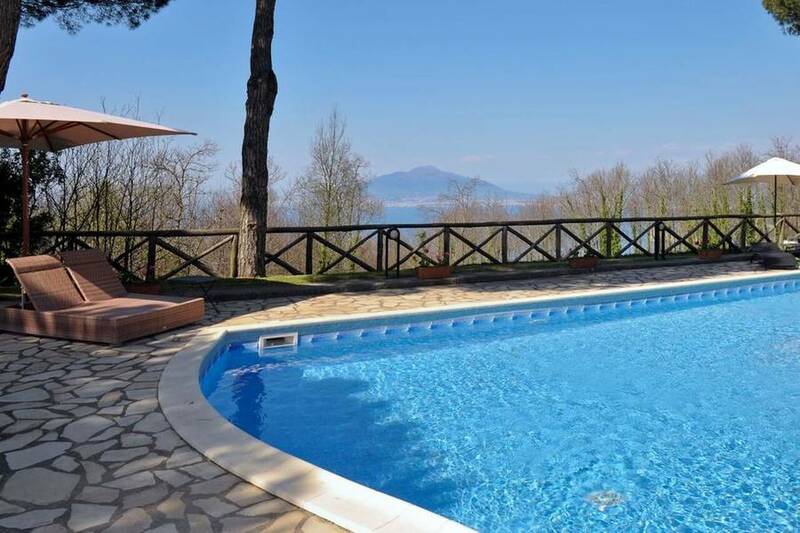 For an unforgettable holiday with friend or family or a special event with complete privacy, you an claim the whole of the villa and its grounds and gardens as your own! 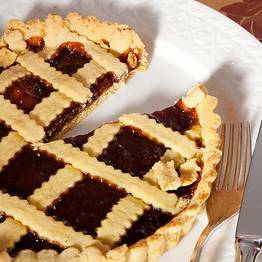 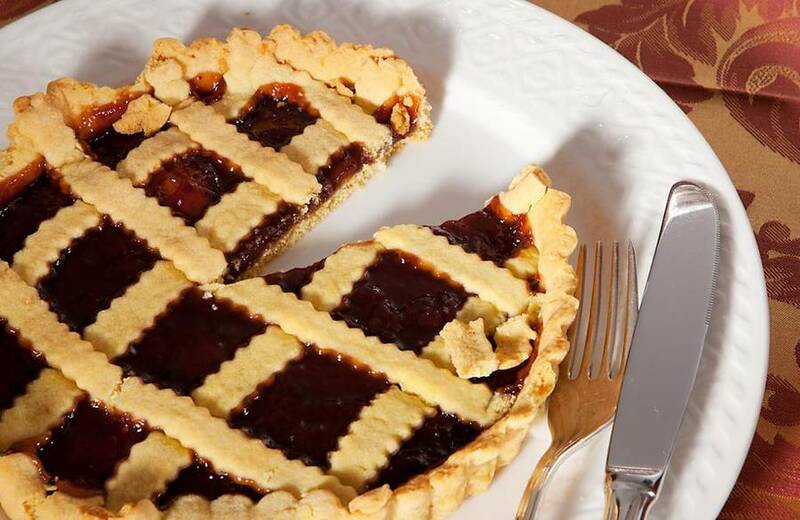 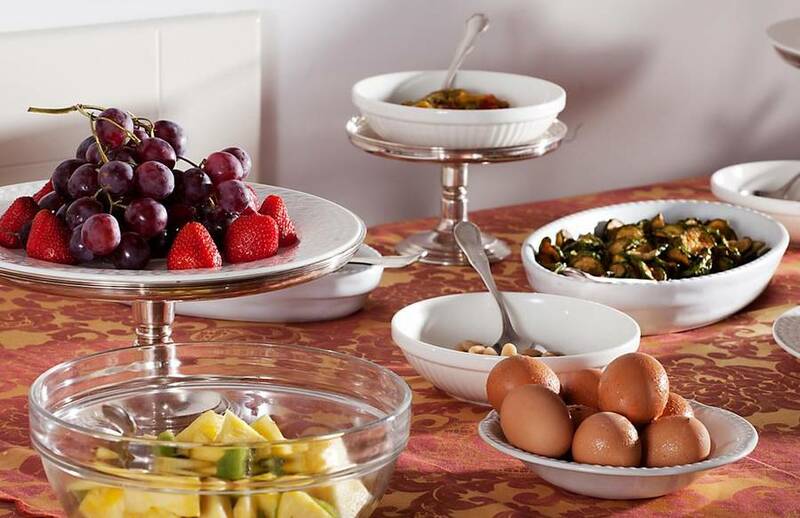 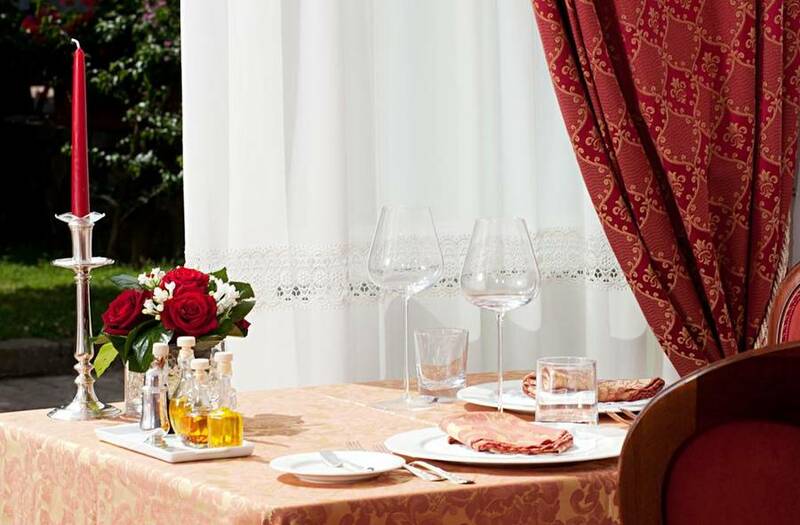 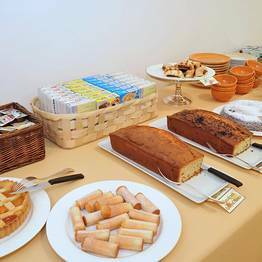 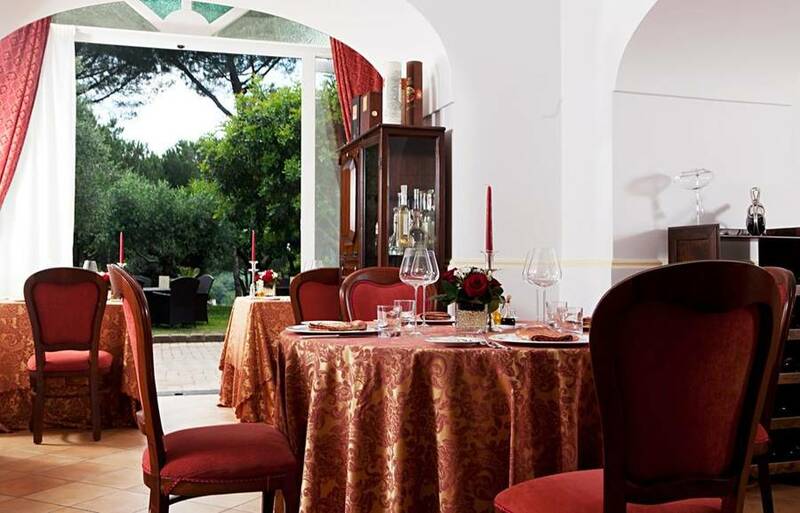 At the Oasi Olimpia Relais, guests can participate in cooking classes where they learn to prepare the most traditional dishes from Naples and all of southern Italy, including a full meal featuring dishes like ravioli, gnocchi alla sorrentina, or Neapolitan pizza. 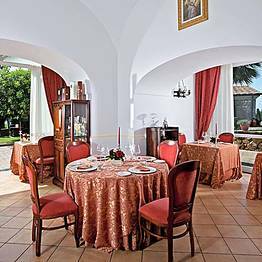 The villa's restaurant serves dinner each evening, with a menu based on authentic Mediterranean cuisine and highlighting historic recipes and local specialties. 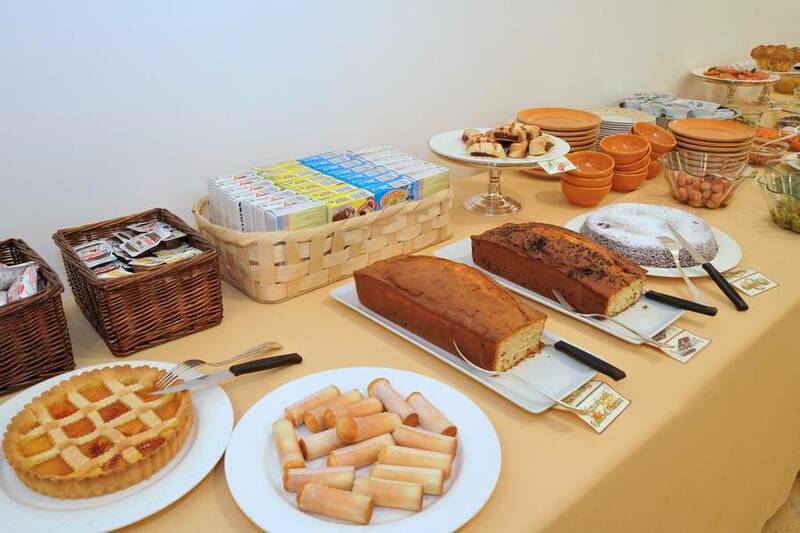 During the day, guests can request light snacks to be served poolside. 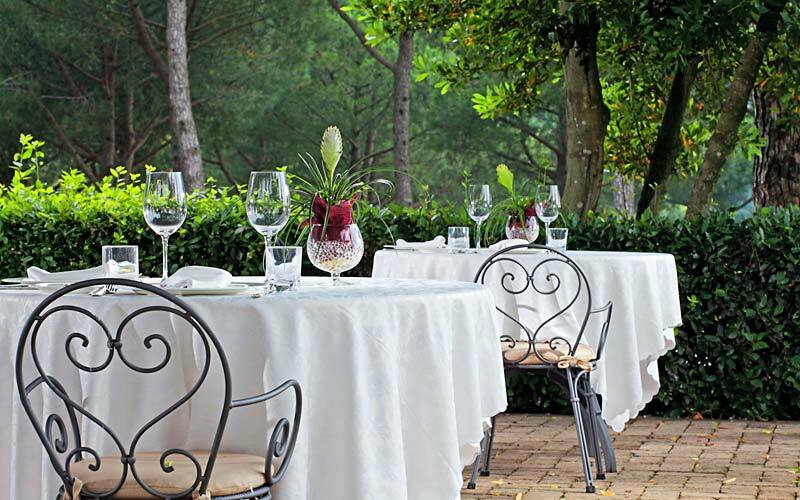 The dining room, terrace, and grounds are the perfect venue for an unforgettable ceremony, celebration, or special event. 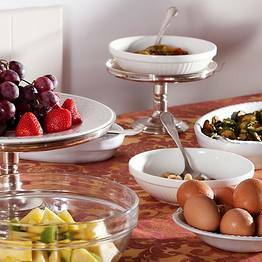 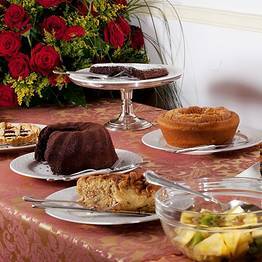 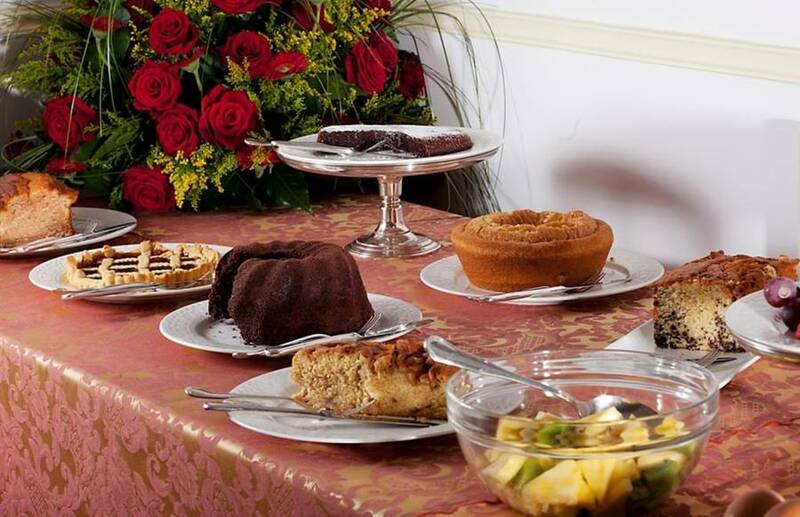 The villa staff can take care of all the organization and details for your reception or banquet, and the menu will be customized by our chef to suit the taste and style of the bride and groom and their guests. 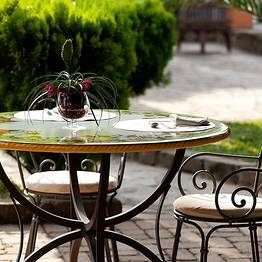 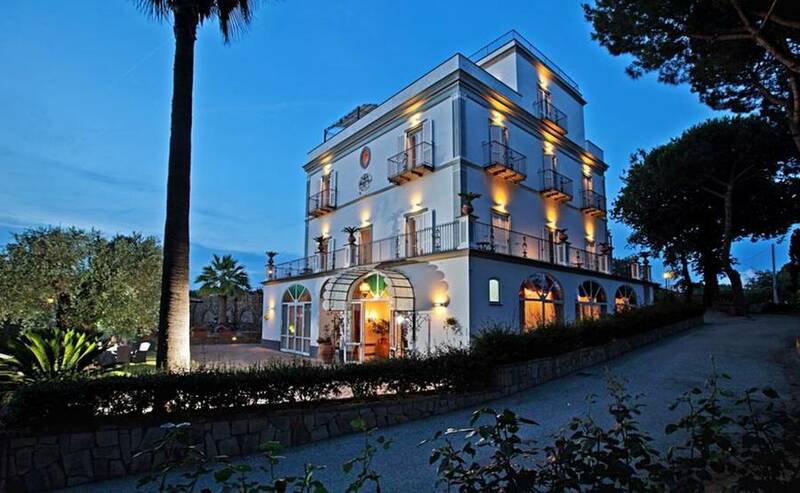 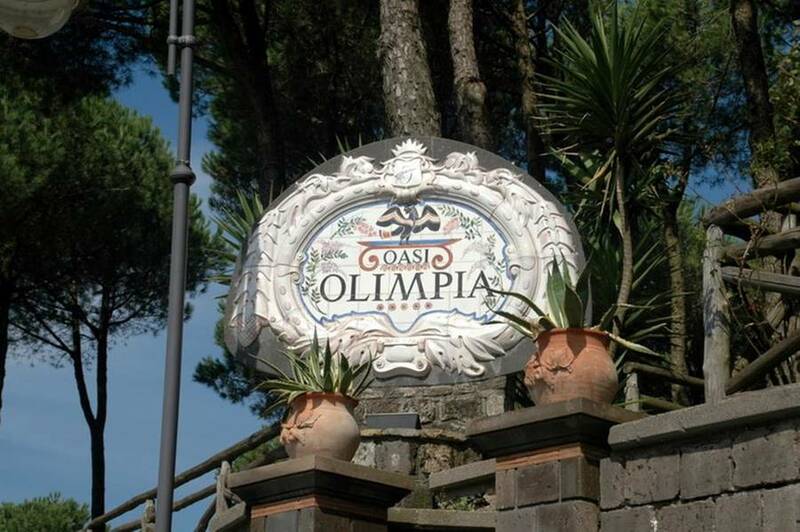 'Hotel Oasi Olimpia Relais is situated in S. Agata sui Due Golfi, a pretty little town on the hills of Massa Lubrense, halfway between Sorrento and the Amalfi Coast. 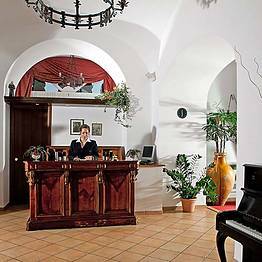 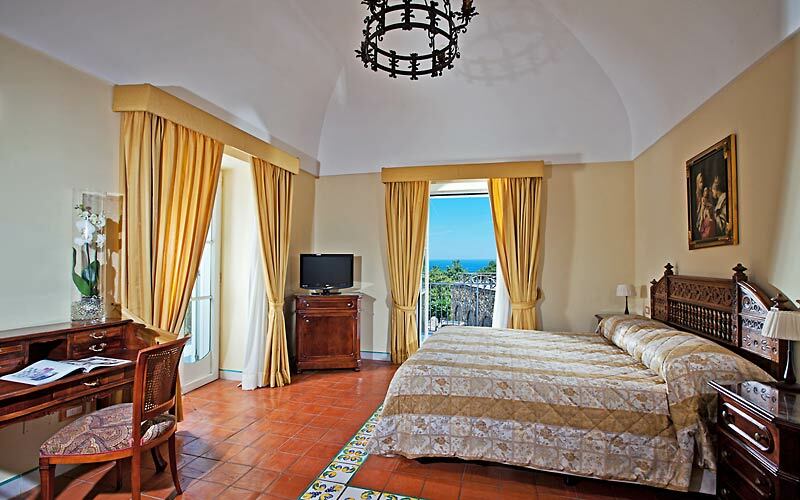 The hotel is, in fact, only a few minutes way from the historic center of Sorrento, the beaches of the Sorrentine peninsula, the Punta Campanella marine reserve and the towns of the Amalfi Coast (Positano, Praiano, Furore , Amalfi, Atrani and Ravello'). 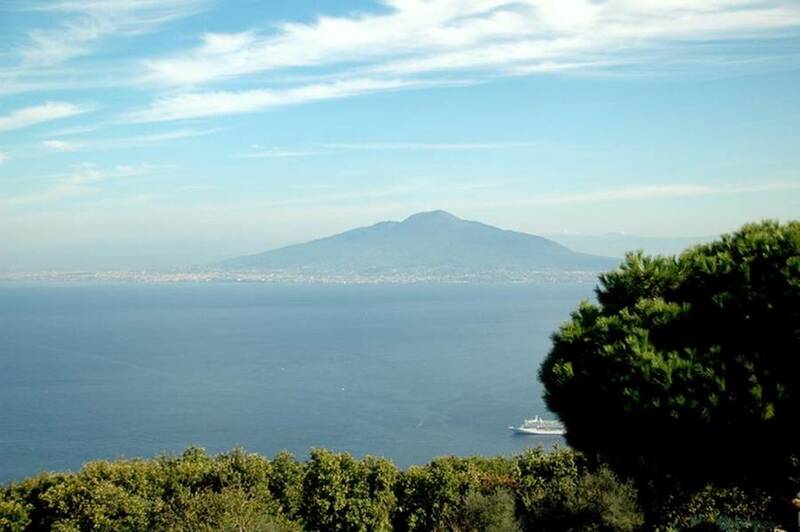 The city of Naples and the world famous archaeological sites of 'Pompeii and Herculaneum are all less than an hour's drive away whilst, from the nearby port of Sorrento, hydrofoils regularly sail to the islands of Capri and Ischia. 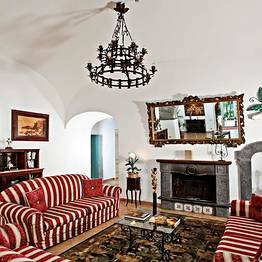 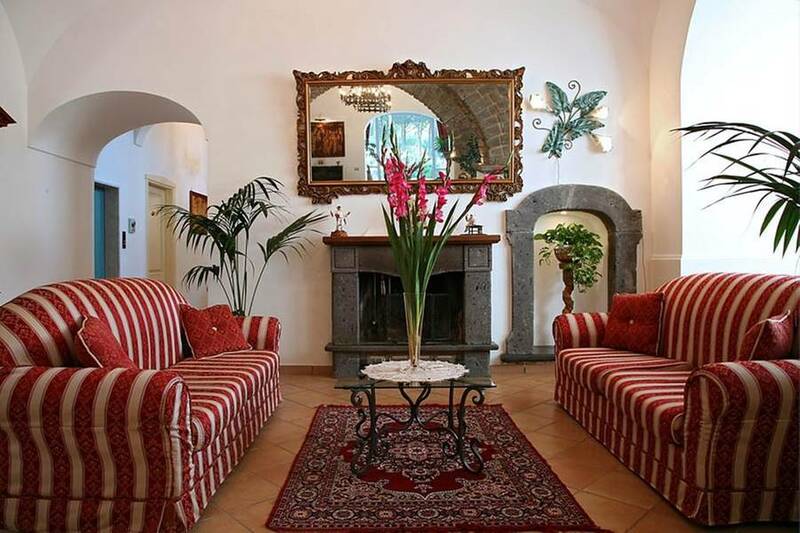 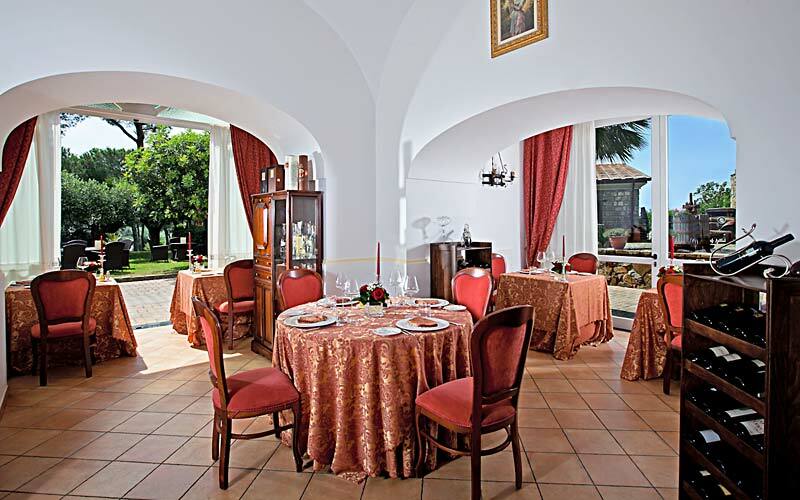 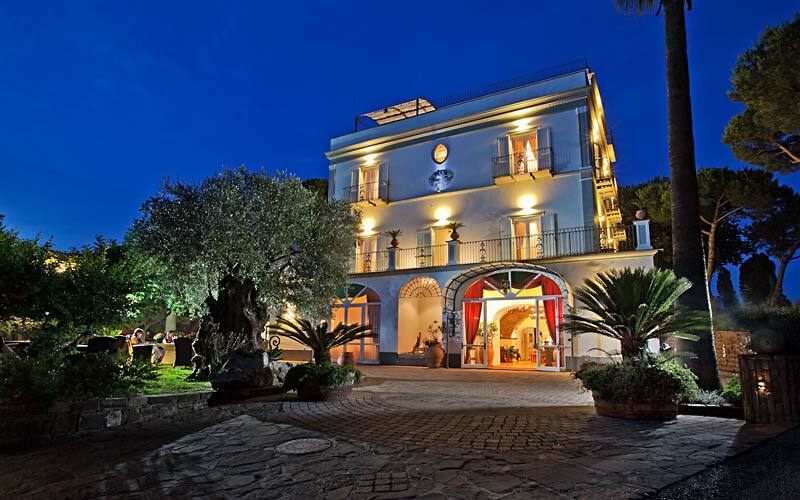 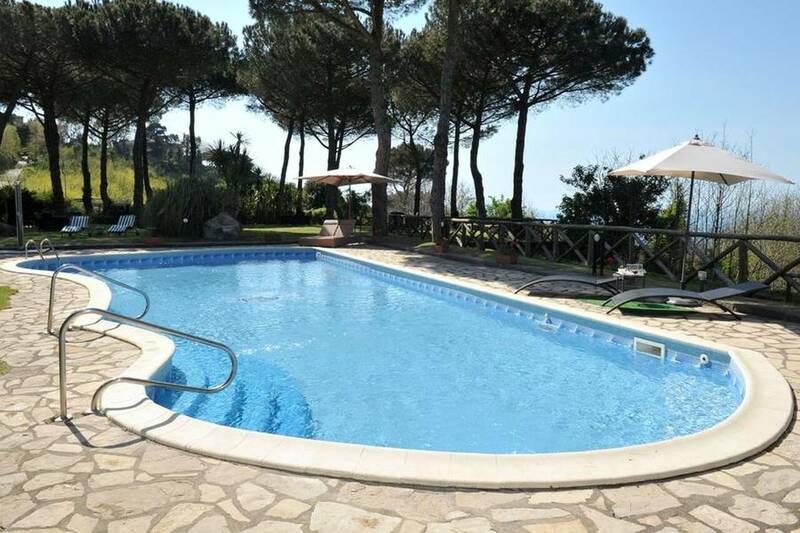 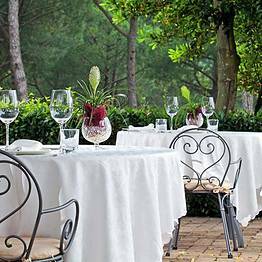 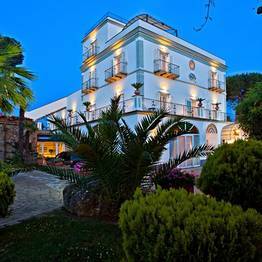 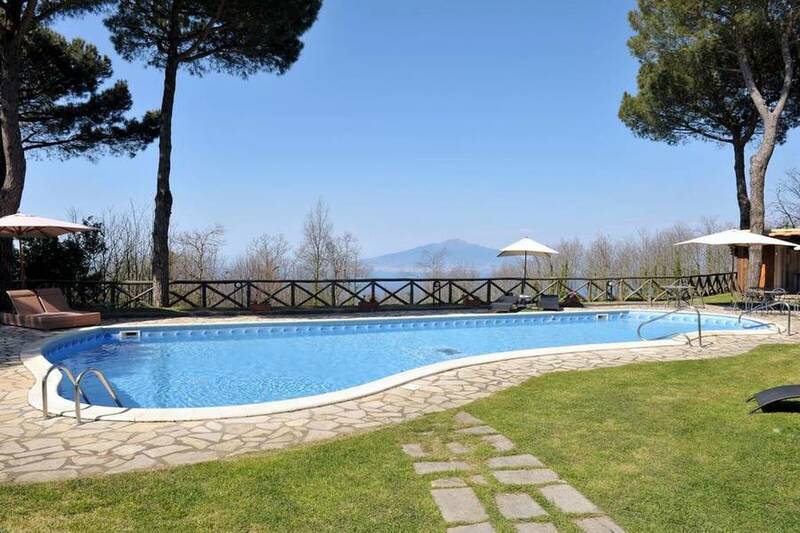 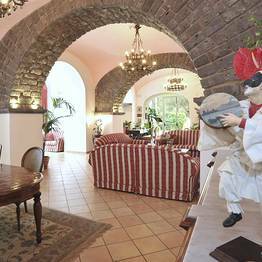 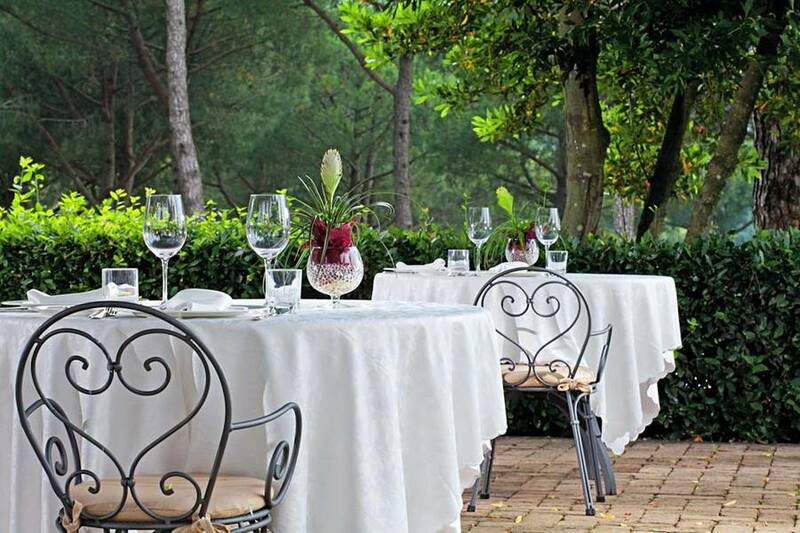 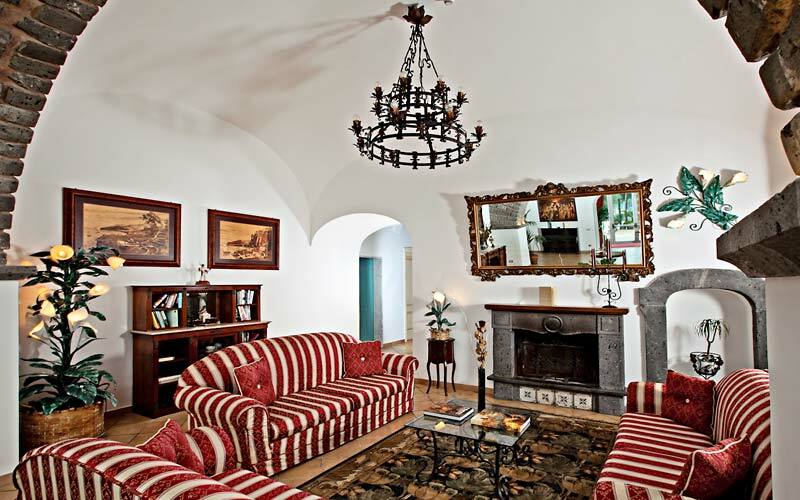 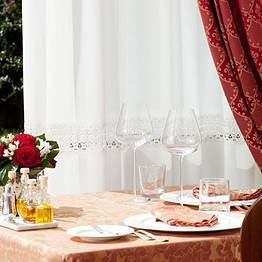 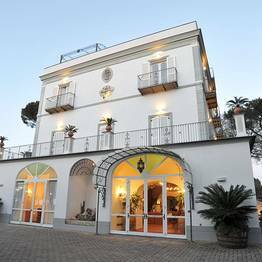 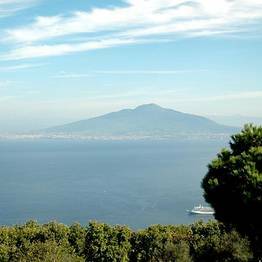 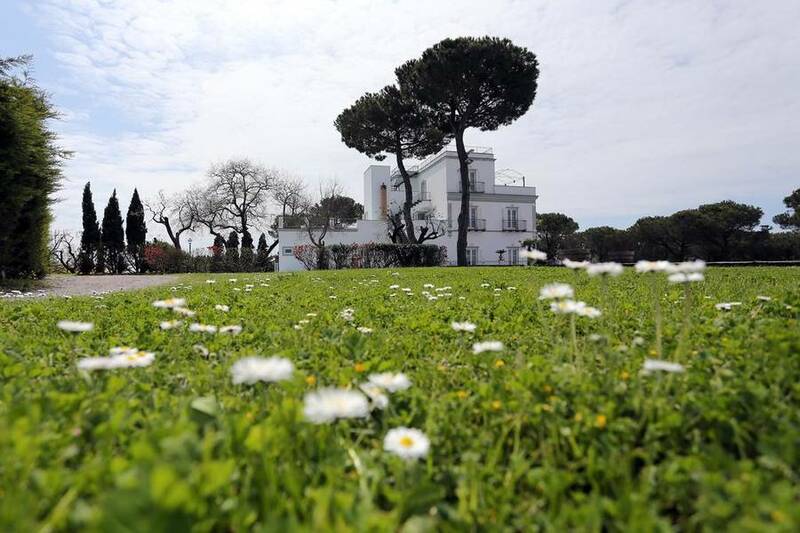 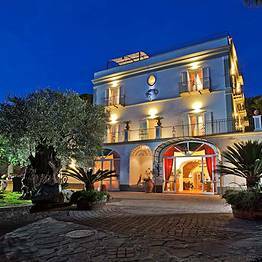 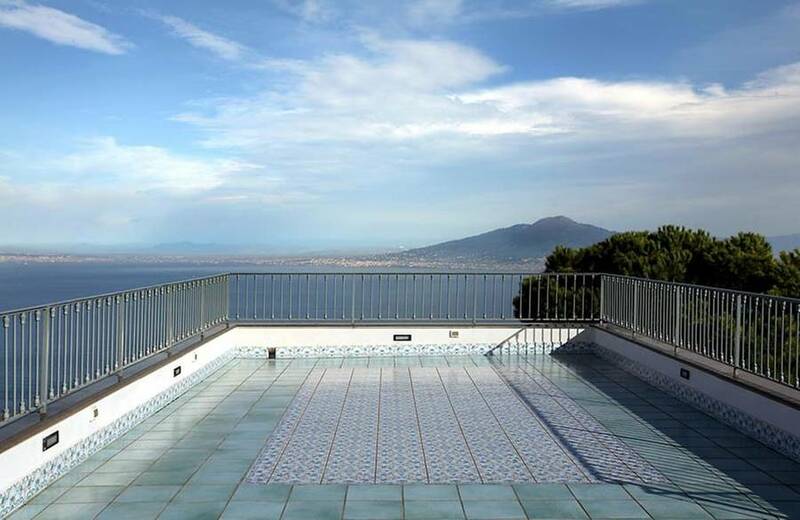 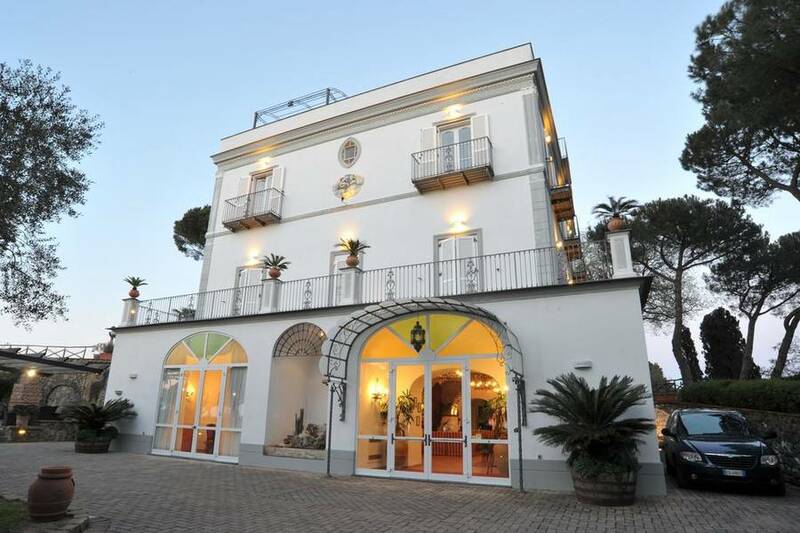 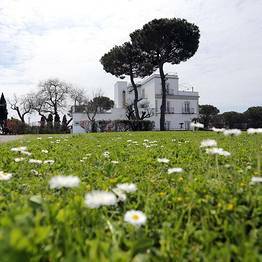 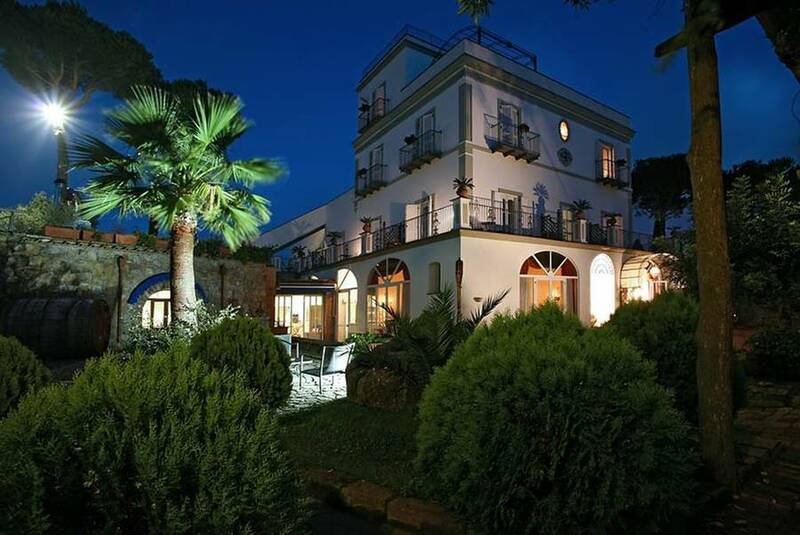 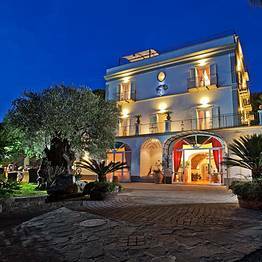 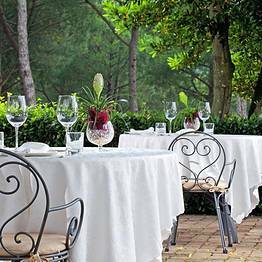 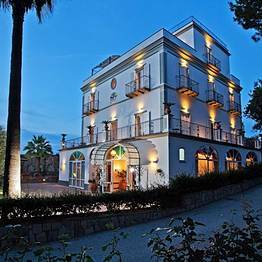 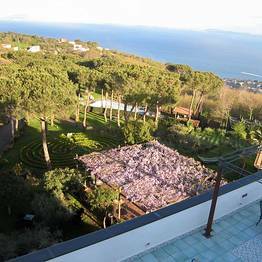 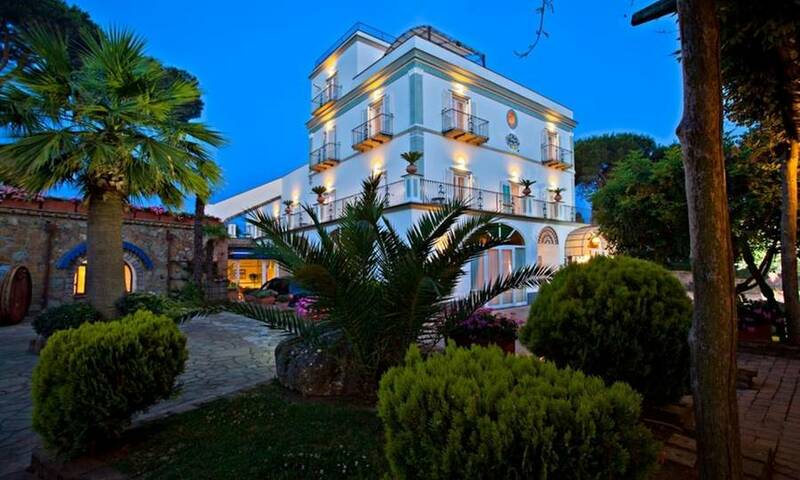 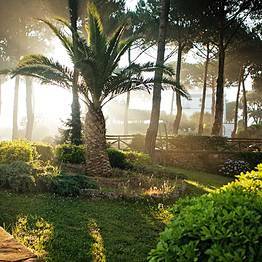 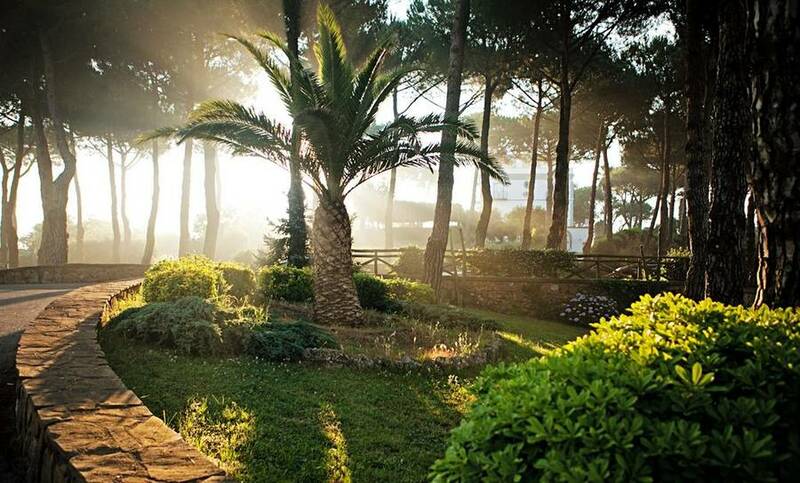 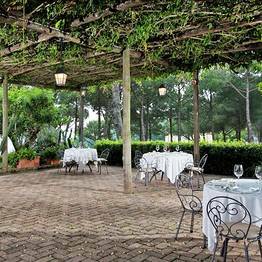 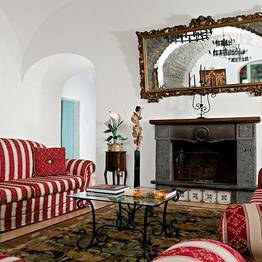 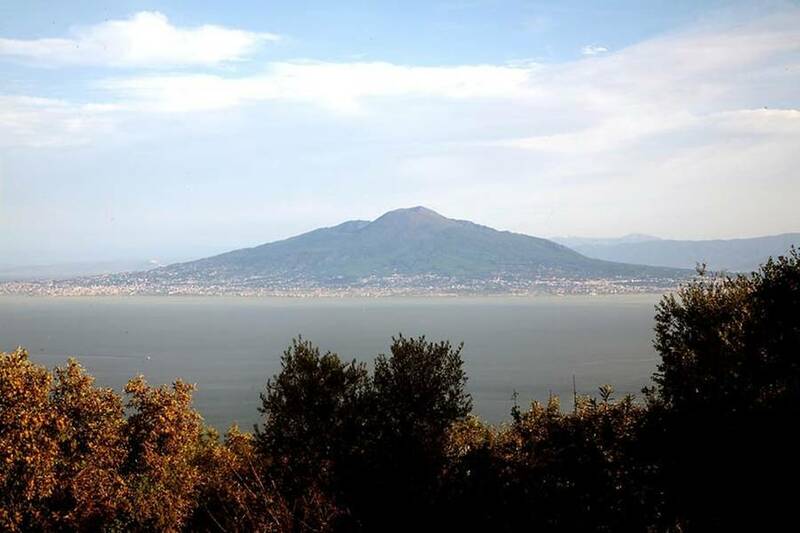 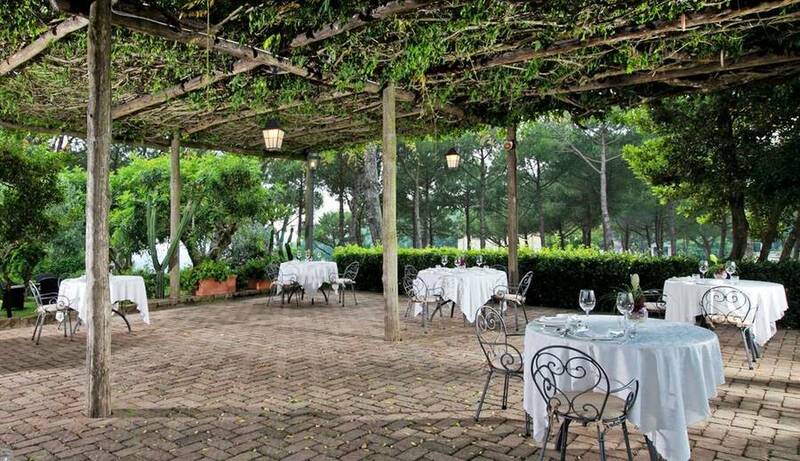 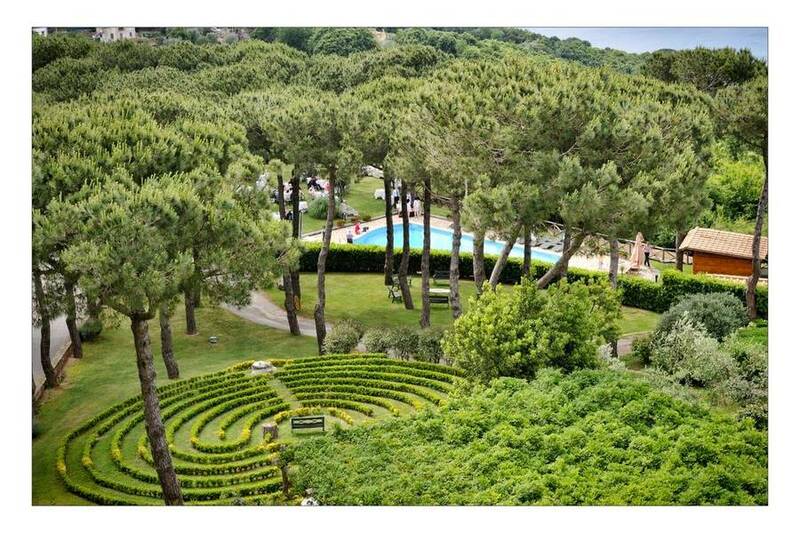 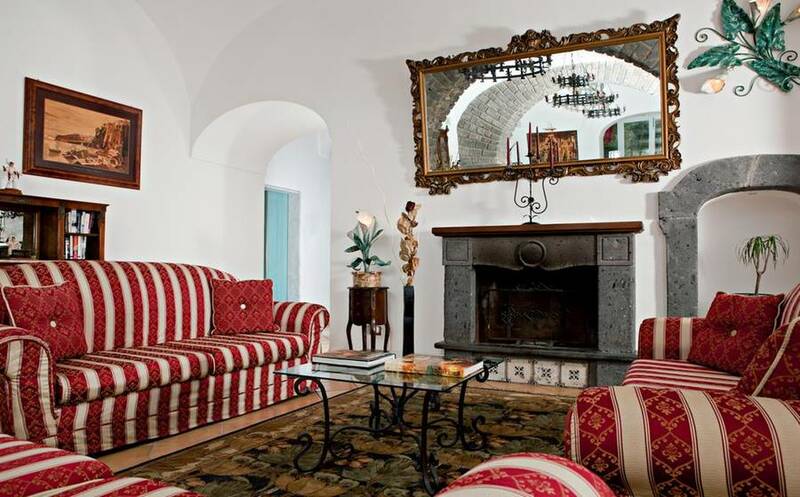 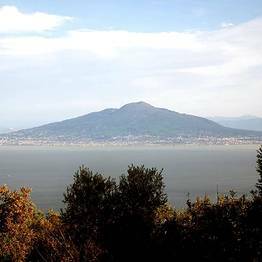 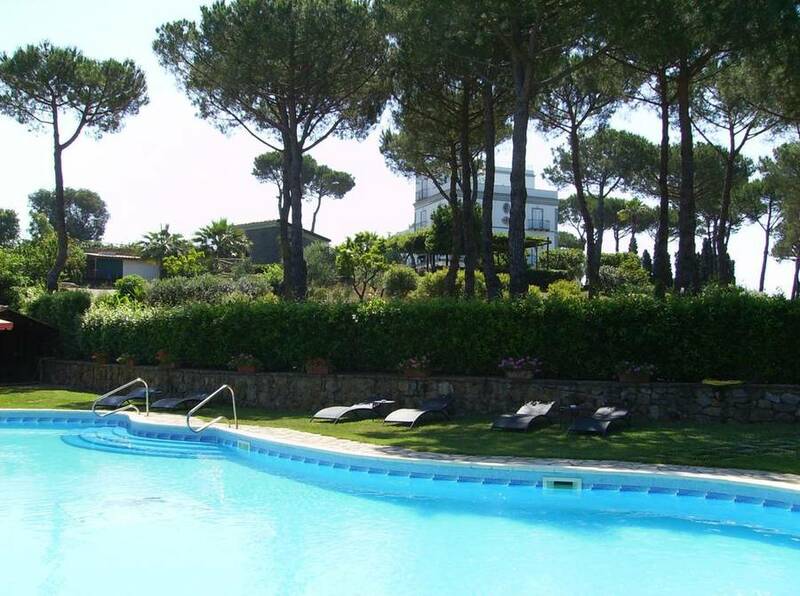 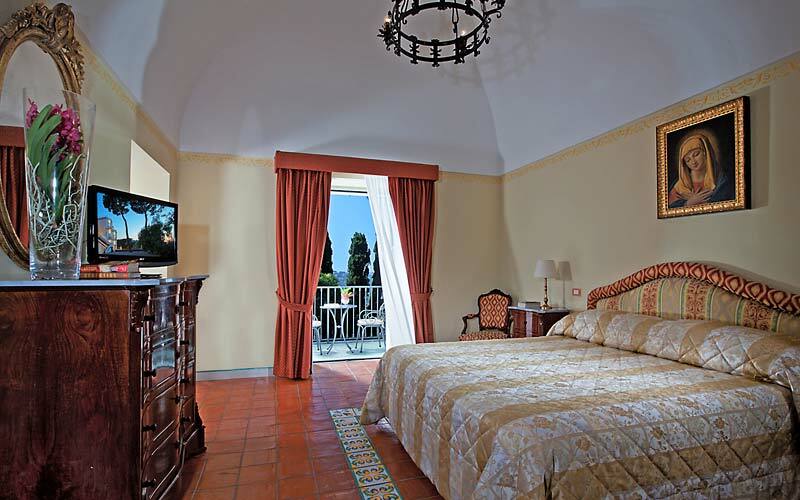 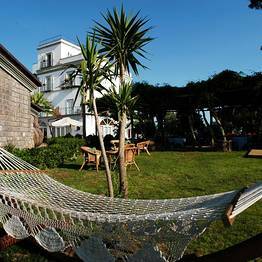 Book Oasi Olimpia Relais on SorrentoInsider now with no additional booking fees. 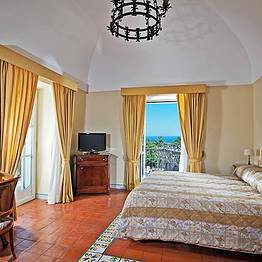 Perched above the Mediterranean Sea in Sorrento's "old town"